After living in New York for the past 18 years, pianist Jacky Terrasson is puzzled and somewhat frustrated that the jazz world thinks he’s still based in Paris. 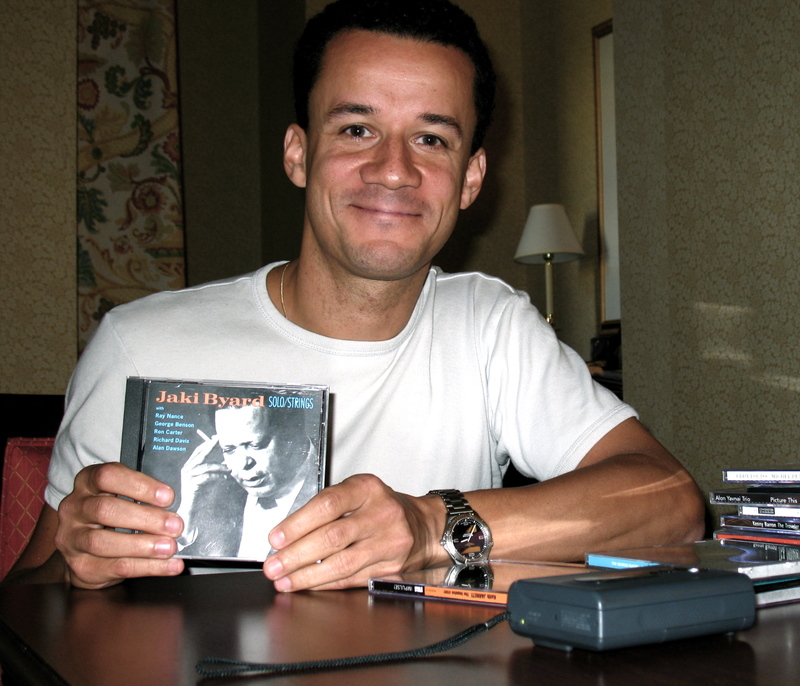 Terrasson spent his formative years studying at Berklee and working with Art Taylor and Betty Carter. He gained international attention by winning the 1993 Monk Piano Competition and signing with Blue Note records. Since then he’s traveled the world, usually working with his highly regarded trio. “All The Things You Are” (from Conference de Presse, Dreyfus Jazz). Louiss, organ; Petrucciani, piano. Recorded in 1994. Before: Piano and organ? I’m thinking about Eddy Louiss and Michel Petrucciani. There are not many duos like this. Yeah, this is Michel. He really likes that style out of bebop, the Oscar Peterson influence with very volatile right hand. He plays those long phrases. The challenge with playing two keyboards is that both players need to be strong rhythmically and make sure that the tempo doesn’t slip away. At the same time you don’t want to always play bass lines with the left hand. It’s got to be implied sometime. In the beginning, I thought they had a little difficulty getting into it, but now they’re on track. I like this. 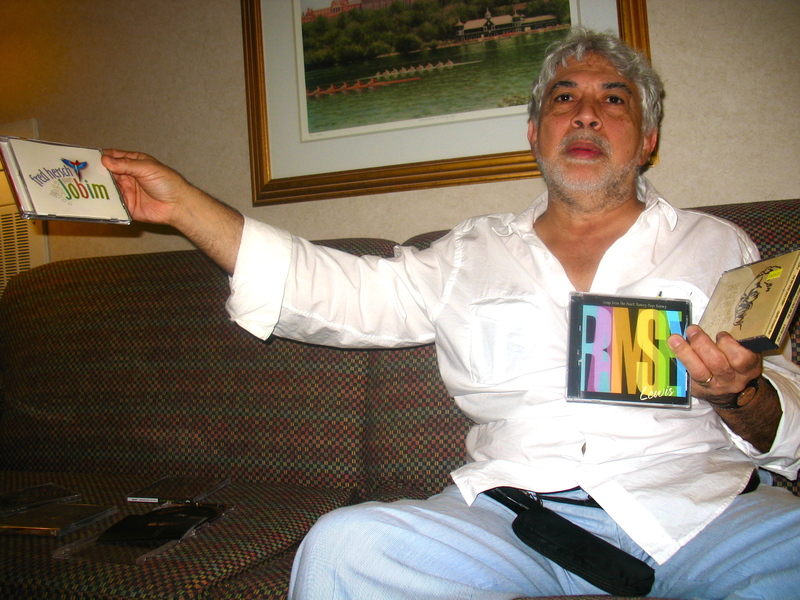 Jamaican-born pianist and bandleader Monty Alexander is an old-school road warrior who still loves to rock the house with hard swing and deep island grooves. Though he has good ears and strong opinions, Alexander avoids theoretical analysis when listening to music, concentrating instead on feelings, emotions and experiences. While setting up, we talked about his growing up with mento music and American popular song in Kingston, his love for Louis Armstrong, Lord Kitchener and New Orleans R&B, and his big break in Miami, where he was discovered by Frank Sinatra and Jilly Rizzo. In recent years, Alexander has led his well-traveled jazz trio, as well as a reggae band. His latest release is Calypso Blues: The Songs of Nat King Cole (Chesky). “Calypso Blues” (from The Nat King Cole Story, Capitol). Cole, vocal; Jack Costanzo, conga. Recorded in 1949. [chuckles]. Nat. I’ve heard this so many times, and I knew Jack Costanzo very well. The timing of that recording came close to the time that Harry Belafonte did his calypso album. Nat was not a stranger to seeking popularity. He was somebody who could do anything he wanted. He was a natural. He loved music and he loved rhythms from the island. Who on earth would record a song with just a man beating on a conga, especially someone like Nat who was such a swinging musician? And he played so much piano, so that tells you about Nat’s daring, as well as his talent. I knew all these songs, what we called mento songs, and he was a beloved voice in our home. When I was 10 years old I walked down the street and imitated him because of the girl I had a crush on [sings Too Young]. Louis Armstrong also recorded a calypso around that time called “High Society.” So they were my ultimate heroes, Louis Armstrong and Nat Cole. I saw them in Kingston when I was about 11 years old. Incredible. They were artists as well as entertainers. They had that thing, that show biz thing. So you just played a man who’s everything to me. He went for the brass ring, and he got it because everybody loved him.